The black, 120° x 60° coverage JBL AM7212/26-WRX Extreme Weather-Resistant Speaker is a lightweight, 2-way high-power loudspeaker system that features the JBL Differential Drive dual voice coil and dual magnetic gap 2262H-1 12" low-frequency driver, and the 2432H-1 high-frequency 1.5" exit, 3" voice-coil compression driver. A 120° x 60° coverage pattern is provided by the large format PT-H126HF-1 Progressive Transition waveguide. The loudspeaker system can be positioned in either a vertical or horizontal orientation. Moreover, the speaker's high-slope passive network minimizes band overlap and its well-controlled off-axis response enhances arrayability. The AM7212/26-WRX is best suited for use where the speaker will be in direct exposure to the elements or in any extreme environment such as tropical climates, beach areas, or other locations with high or low temperature extremes, salt air, high humidity, or rapid change in temperature. Furthermore, the enclosure is fitted with fifteen M10 threaded attachment points, and utilizes a 14-gauge steel grille internally lined with acoustically transparent foam to provide additional driver protection. 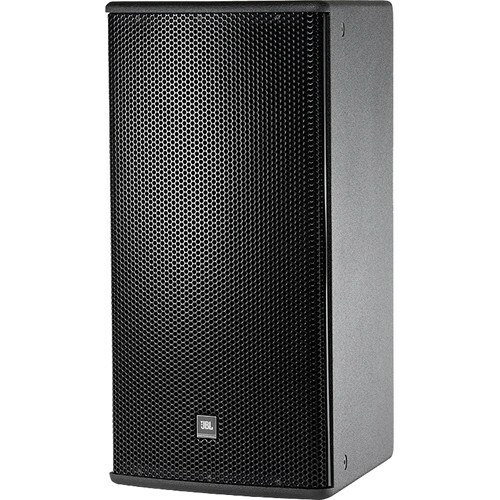 The JBL AM7212/26-WRX is part of JBL's AE Series, a versatile family of loudspeakers intended for a wide variety of applications, which includes but is not limited to: performing arts facilities, theatrical sound design, auditoriums, worship facilities, live clubs, dance clubs, sports facilities, and themed entertainment venues.